Our NEW Universal Safety Cage has been designed to be lighter and safer than previous models. With the new design, the cumbersome weight is no longer a problem and one cage is suitable for kiln sizes ranging from 4M up to 6M. 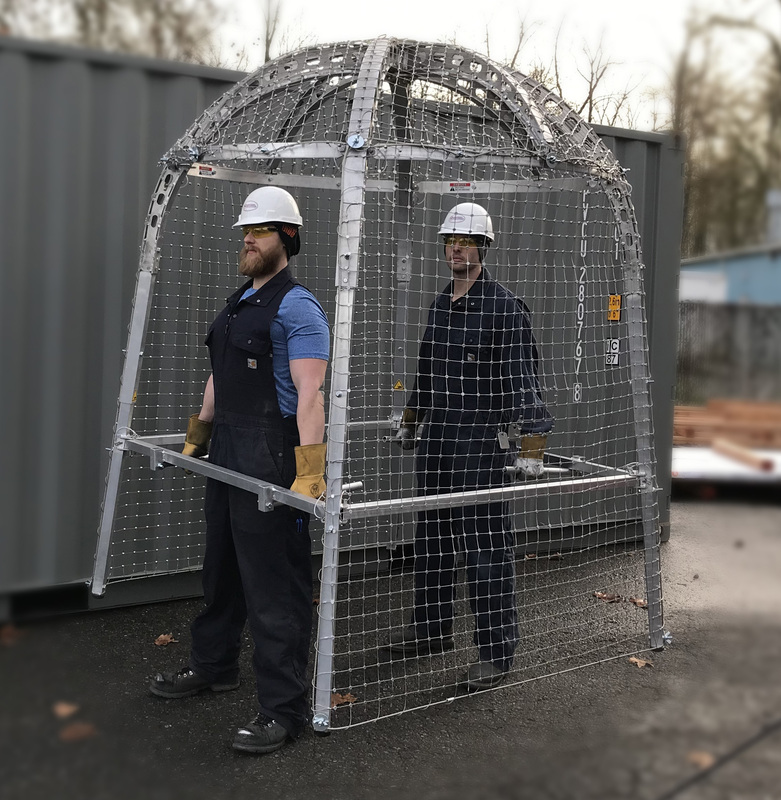 The Safety Inspection Cage is designed to withstand a solid impact of 114 kg from a height 2438mm. The cage, being half the weight of the traditional style, is easily carried by two plant personnel.